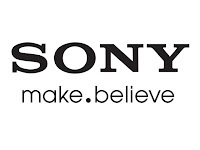 PT Sony Indonesia, Established in September 1st, 1995, as a sales and marketing company authorized by Sony Corporation, performs the best practice of marketing and sales activities for Sony products throughout Indonesia. It covers distribution of Sony products including the latest fruits of Sony's research and development. Preferably Supervisor / Coordinators specializing in IT/Computer - Hardware or equivalent.